From Monday 18th Feb 2109, the PopUp team will be running a free business course to help new and established businesses get going and to kick-start your business the right way. The intensive multi-day course is being run in Houston, TX. You don't have to come everyday but the more you come, the more you will get out of it. All sessions are completely free, but places are limited, so booking is essential. We will help you to get your ideas off the ground thanks to our partners, Houston Housing AuthorityHomeless Coalition, Search Homeless Services, Memorial Assistance Ministries, Bluehost. 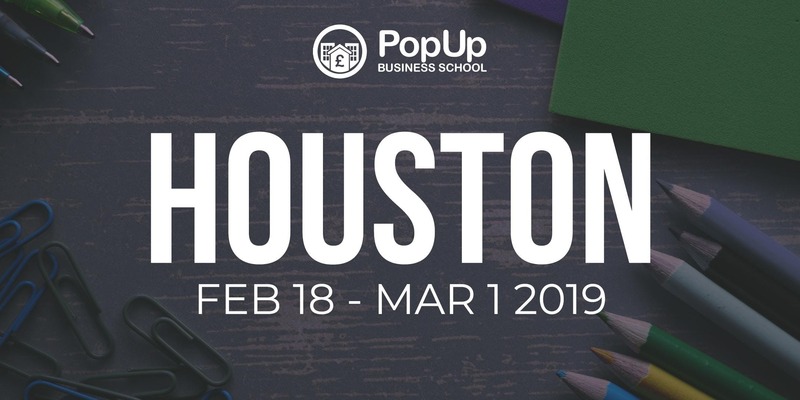 Find the full Schedule that covers every aspect of starting, owning and running a business at www.popupbusinessschool.co.uk/houston.